You are not permitted to purchase any goods or services on this website if you are under 18 years of age and do not have parent or guardian approval. As the fitness activities, programs, videos and other materials on our website (‘Services’) carry a certain amount of risk associated with any exercise program, we restrict any participation and use of our website and Services to either individuals over 18 years of age or with Guardian approval. All minor children must have guardian approval for the use of any of our goods or services. The use of some of our goods, such as the resistance band, requires adult supervision to ensure that the child uses the equipment in accordance with the instruction booklet and his or her doctor’s instruction where relevant. If you are not 100% satisfied with our program, please contact us within 7 days of your purchase to receive a full refund. Please note: Refunds requested more than 7 days after your initial purchase date, are at our discretion and a charge for shipping and Resistance bands will be deducted from your refund. You may not share, copy or redistribute any material contained in our Programs in any medium or format at any time. Our materials are for your individual personal use only and may not be used for commercial or other purposes. You are not permitted to make any derivative material, including but not limited to copying, reproducing, transforming, sharing or building upon the material in whole or any part thereof. For any other use or distribution, you must have express written consent from Tennis Fitness. This website is provided on an “as is” basis. While Tennis Fitness has used its best endeavors to ensure that the information contained on and accessed through the website is correct and current at the time of publication, Tennis Fitness does not accept responsibility for any error, omission or defect in the information. Certain legislation including the Australian Consumer Law (ACL) in the Consumer and Competition Act 2010 (Cth), and similar consumer protection laws and regulations may confer you with rights, warranties, guarantees and remedies relating to the provision of goods or services by us to you which cannot be excluded, restricted or modified (Statutory Rights). · whether the goods or services provided on the website will be available on an uninterrupted, secure or error-free basis. We exclude all conditions and warranties implied by custom, law or statute except for your Statutory Rights and we expressly disclaim all warranties of any kind including but not limited to implied warranties of merchantability and fitness for a particular purpose. You agree that you must evaluate, and bear all risks associated with, your use of any Information made available through or facilitated by the Website. You agree and acknowledge that we are not liable for any direct, indirect, consequential or incidental loss or damage which may result from your use of our website, any goods or the Content supplied through the use of the services. For the sake of clarity, in no event will we be liable for any consequential, indirect, incidental or special damages of any kind including any damages for loss of revenue, profits, interruption of business, loss or use of data even if the possibility of such loss was made known to us. (b) The payment of the cost of having any goods or services supplied again. Our goods come with instructions on use and care and are backed by a 3 month warranty from the date of purchase. It is important that you review the instructions and take care when using our goods. You also need to ensure that the goods are kept in good condition, in a safe, dry environment and are inspected before use each time. Our goods have been tested by the manufacturer but if they are not used or kept in a proper environment, they may become dangerous, break or could cause damage, injury, and even death if not used or cared for correctly. You must always use our goods in accordance with the instructions and not wrap them around your body, use them in any way not intended or instructed, keep our goods out of reach of small children. Some of the activities and equipment may be potentially hazardous. When children under the age of 18 years are using our goods, such as resistance bands, we recommend a responsible adult, guardian or parent be present at all times during use. You are responsible for any minor child you may sign up, enter, engage or otherwise provide access to our goods or services. You agree to ensure you or another responsible adult or guardian are available and present at all times to supervise any minor child during any activity, exercise or service we may provide directly or indirectly through our website, physically, digitally or otherwise. You also agree to ensure that, before using or engaging any minor child in any of our goods or services, including but not limited to any physical activity, you have consulted a suitable qualified medical professional. You take full responsibility for all risks associated with allowing your minor child participate in any activities and to use the Services and you hereby agree to waive any claims you may have now or in the future against us and we take no responsibility or liability whatsoever for any loss, damage or injury that may arise from any person acting on any information, goods or services contained on or accessed directly or indirectly through this website and all such liabilities are expressly disclaimed. The website is subject to copyright under Australian law and, under international treaties, and the laws of many other countries. The website contains trademarks, intellectual property and copyright protected works, which is owned by Tennis Fitness, and third parties. Except for the direct purpose of viewing, accessing or interacting with the website for your own personal use or as otherwise indicated on the website or these Terms and Conditions, you must not copy, communicate to the public, adapt, transfer, distribute or store any of the contents of the website, or incorporate any part of the website into another website without Tennis Fitness express consent. 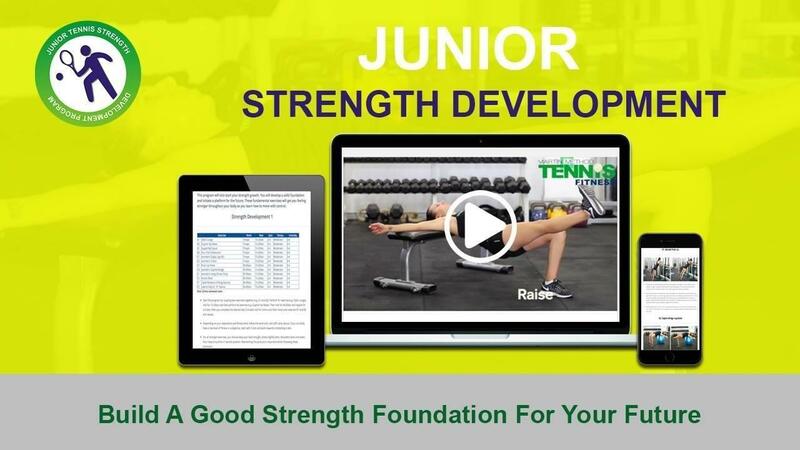 When you submit any materials via the website including comments, recordings and images, you, unless Tennis Fitness advises otherwise, license and grant Tennis Fitness its affiliates and sub-licensees a non-exclusive, royalty-free, perpetual, worldwide, irrevocable, and sub-licensable right to use, reproduce, modify, adapt, publish and display such Content for any purpose in any media, without compensation, restriction on use, attribution or liability. You agree not to assert any moral rights in relation to such use. You warrant that you have the full authority to grant these rights. You agree that you are fully responsible for the Content you submit. Tennis Fitness shall not be liable in any way for such Content to the full extent permitted by law. Tennis Fitness may remove any Content without notice for any reason whatsoever. You warrant and agree that: (a) you will not submit any Content that is unlawful or fraudulent, or that Tennis Fitness may deem in breach of any intellectual property, privacy, publicity or other rights, defamatory, obscene, derogatory, pornographic, sexually inappropriate, violent, abusive, harassing, threatening, objectionable with respect to race, religion, origin or gender, not suitable for children aged under 15, or otherwise unsuitable for publication; (b) you will obtain prior consent from any person or property that appears in your Content; (c) you will obtain full prior consent from any person who has jointly created or has any rights in the Content, to the uses and terms herein; (d) your content shall not contain viruses or cause injury or harm to any person or entity; and (e) you will comply with all applicable laws and regulations, including without limitation, those governing copyright, content, defamation, privacy, publicity and the access or use of others’ computer or communication systems. Without limiting any other terms herein, you will indemnify Tennis Fitness for any breach of the above terms. Tennis Fitness reserves the right in its sole discretion to revise the content of, amend links from, or withdraw access to the website, at any time without notice. Without limiting the operation of any other Terms and Conditions herein, Tennis Fitness will not be held liable for loss or damage arising from the exercising of these rights. Any indemnities given by you and limitations on Tennis Fitness liability will survive such termination. Tennis Fitness assumes no responsibility and accepts no liability for the condition or content of third party websites that may be linked to or accessed from the website. Except as Tennis Fitness may specifically direct otherwise, Tennis Fitness does not authorise the content of those third party websites. The website may also contain third party advertisements, which contain embedded hyper-links to websites operated by third parties. The placement of third party advertisements on this website does not necessarily constitute the recommendation or endorsement of Tennis Fitness for such goods or services. The third party advertiser is solely responsible to you for any representations or offers made by it, and for any goods or services, which you agree to purchase from those third parties. The Terms and Conditions are governed by and to be construed in accordance with the laws of New South Wales, Australia. You irrevocably and unconditionally agree to submit to the exclusive jurisdiction of the courts of New South Wales, Australia. In the event that any provision of the Terms and Conditions is held to be invalid, illegal or unenforceable, that provision must to the extent of the invalidity, illegality or unenforceability be ignored and all the other provisions of the Terms and Conditions will remain in full force and effect. Tennis Fitness makes no representation that the content of the website complies with the laws of any country outside Australia. All rights not expressly granted herein are reserved. Tennis Fitness is committed to protecting your privacy when you interact with content, our products, services and us in any manner, including as an online visitor to our website. • for purposes directly related to any of the above. • Personal information that is required. In some instances, you must provide personal information if you wish to use a particular service or participate in an activity. For example, your age may be required if we need to confirm that you are old enough to use a particular service. • Permissions. Sometimes you will be asked to confirm that you agree to a particular activity. For example, you may need to expressly agree that you would like to receive a newsletter or to confirm that you agree to the terms and conditions of a competition. We may automatically gather information to monitor the use of our services (including online and mobile services), like the numbers and frequency of visitors to our websites. This information helps us improve our services by learning what our customers use and don’t use. It can also help us identify if there are any problems with our services that need fixing. This data is usually collected using ‘cookies’. See below for more information about “cookies” and the information we may collect using them. When using digital services (including online and mobile services), we suggest that you use your discretion and exercise caution when providing your personal information. For instance, if you “share” information that you have posted on a Tennis Fitness website using a social media tool, it is likely that you will be sharing your personal information. Please note that we have a limited capacity to protect personal information that you choose to share and you are solely responsible for sharing such personal information. Some of our services may be integrated with external services, including social media networks. This may mean that information about you (for instance about your interests and activities) is tracked or pulled from other places (such as Facebook). If you use any of our services that are integrated with social media tools, this information may be available to others depending on the privacy settings you have in place on other platforms. Your ability to opt-out of a third party tool or platform will depend on the conditions governing your agreement with that third party. We receive and store information you enter on our website or give us in any other way from time to time. You may provide basic contact information such as your name, phone number, address, and email address to enable us to send information or process your product order and we may also collect additional information at other times, including but not limited to, when you provide feedback, email preferences, respond to a survey, or communicate with our customer support or queries. We may use personal information collected from you for the purpose of answering your queries, resolving complaints, or providing you with direct marketing material, updates regarding our website and information in the form of a newsletter. This will only apply if you have registered or subscribed to such publications by your registering your details with us. However if you wish to cease receiving any such information you may let us know either by email or unsubscribing at any time and your request will be actioned as soon as possible. We may use suppliers who set cookies on our digital services on our behalf in order to deliver the services that they are providing. For instance, if we embed photos and video content from third parties such as Flickr and YouTube, those third parties may have set cookies relating to that content. If you then “share” that content, another third party cookie may be set by the service you have chosen to share content through. We do not control these cookies, and we do not block cookies set by third parties in these ways. Exclusive membership where you can ask us questions anytime.